There’s no need to be polite about it — just help yourself to the thing. 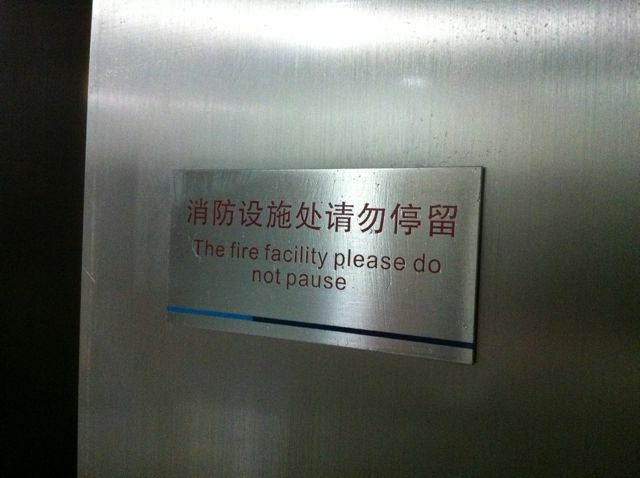 Don’t dare pause — not even for a split sec! It’s either that — or a sign that you’re in a passageway to be kept free for the firemen should this place suddenly go up in flames! It also goes without saying that it’s probably not a good idea to toy around with the fire facilities here. Is that light OFF — or NO? Ah, Premier (deluxe) Class on the Chinese high speed railways. God class. 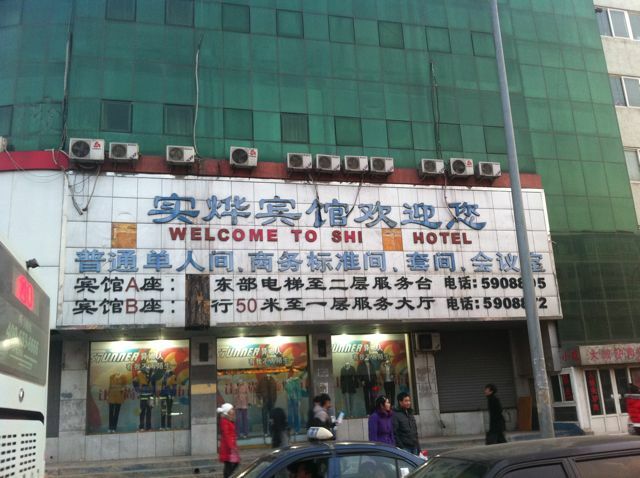 Where everybody treats you like a right royal rider, and you get free Dezhou Braised Chicken for free (apparently). 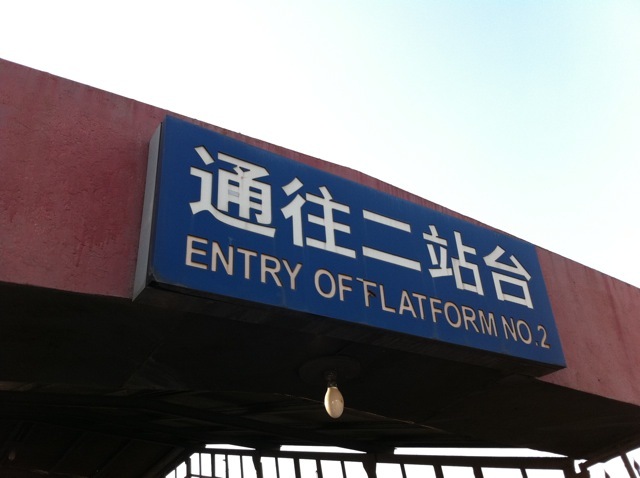 Oh — and it also comes, on CRH380A trains, with free extra Chinglish. 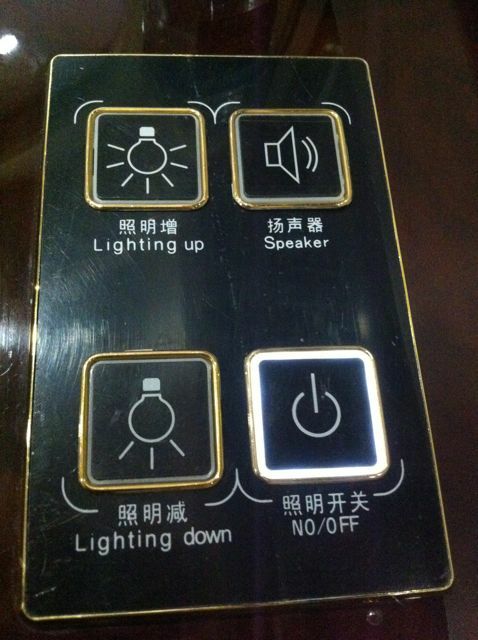 You have an option to turn OFF the Chinglish — or to turn it NO. 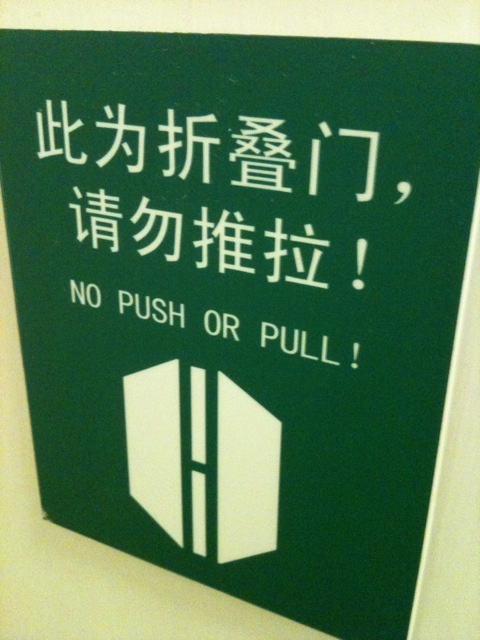 That’s right: instead of turning on the Chinglish, you have to turn it no. 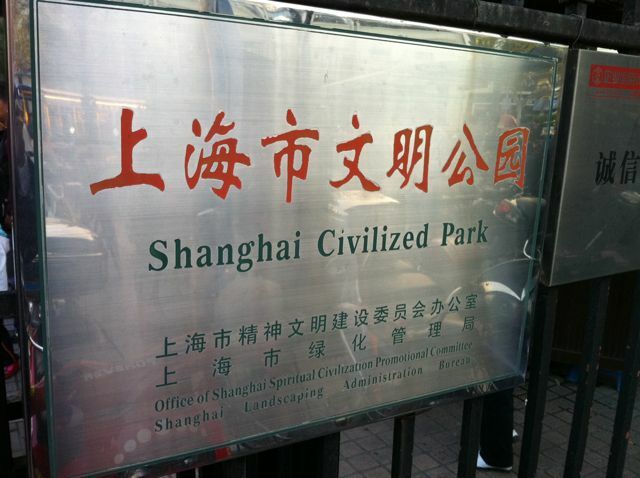 First, it gives you this impression that not every park in Shanghai is civilized… (what these guys wanted to say, rather, is that this garden’s clean, neat, nice — and rocks! and stuff like that). 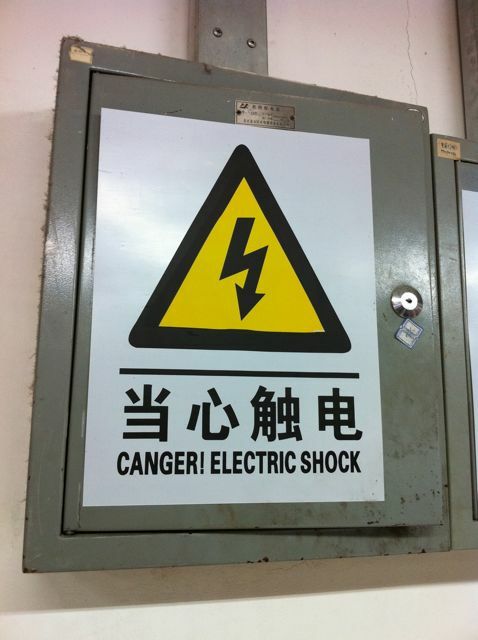 Second, the bit of Chinglish below is crazier still. It reads Office of Shanghai Spiritual Civilization Promotional Committee. How scary is that! Spiritual civilization promotional committee! Spiritual Chinglish. BA-A-AD. I’m at a loss for words. This sign just outright doesn’t make sense. It — like — ends halfway through where it’s not supposed to end! It’s madness total. 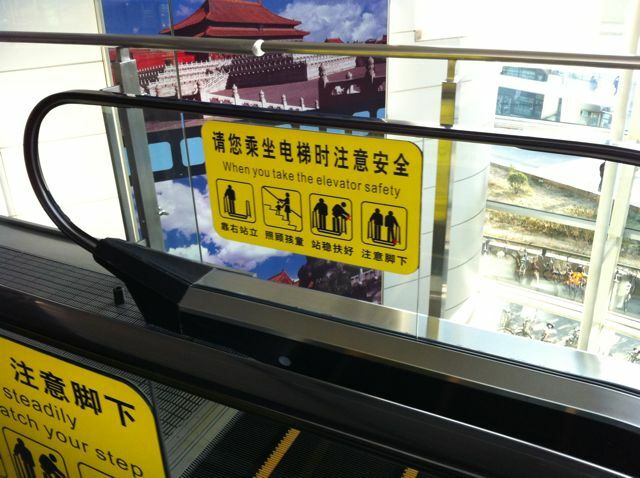 When you take the elevator safety… what will happen?… Plus, it’s an escalator… since when has it been an escalator? 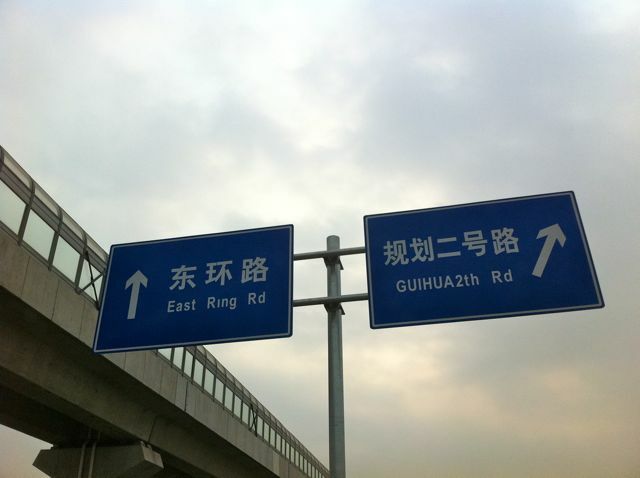 Somehow, I’m sold that Beijing still hasn’t gotten its orders right. As I learnt it the right way in Switzerland, we’re to start with the 1st carriage, then the 2nd, 3rd and 4th… then the 5th, 6th, 7th and onward. Obviously, it’s that final bit of precision that’s mission. This fair bit of Chinglish is from Yuquan, just southeast of Harbin, in a part of Heilongjiang where I am sure there is no living expat. And yet they insist on sticking some English at the train station. 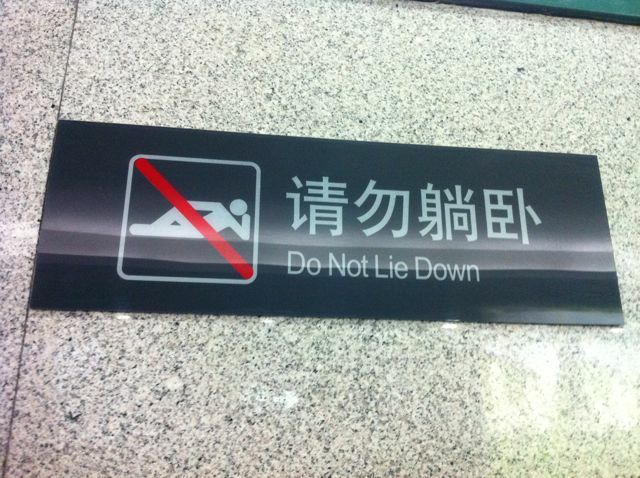 Funnier still: they seem to have modified the Chinglish. Probably what they had there first was ENTRY OF FLATFORM NO. 2. Seeing their English attempt fell flat on the head, they then proceeded to mod it as the entry to TLATFORM 2.